is located at 441 Vine St. in Cincinnati Ohio It was completed in 1931. This building was designed by Walter W. Ahlschlager and Delano & Aldrich. 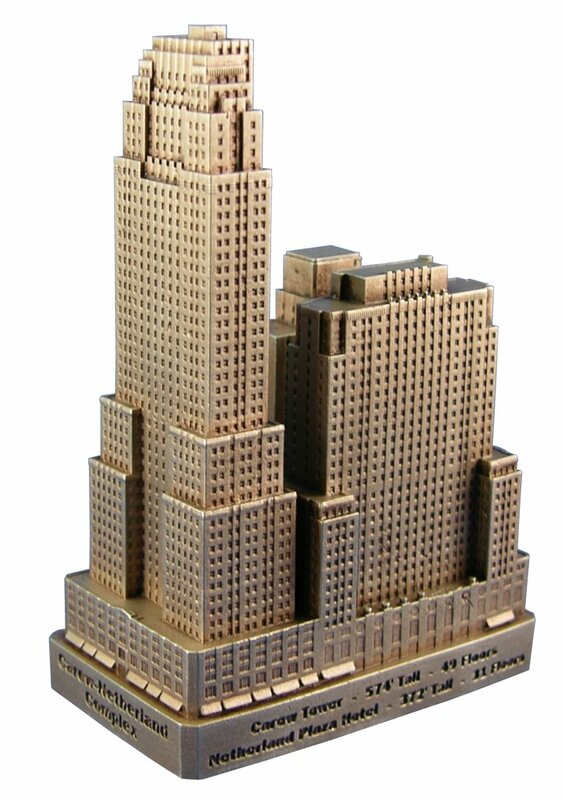 The complex as designed consisted of the 49 story 574' Carew Tower, the 31 story 372' Netherland Plaza Hotel, and the 27 story 342' Carew-Netherland parking garage. The garage, demolished in the late 1980's was the tallest building ever built devoted entirely to automobile parking. This pewter replica stands 4-1/2 inches tall and is finished in new pewter with brown stain.